A NERVOUS flyer has claimed she flew around 100 miles over water with Ryanair – without a life jacket under her seat. 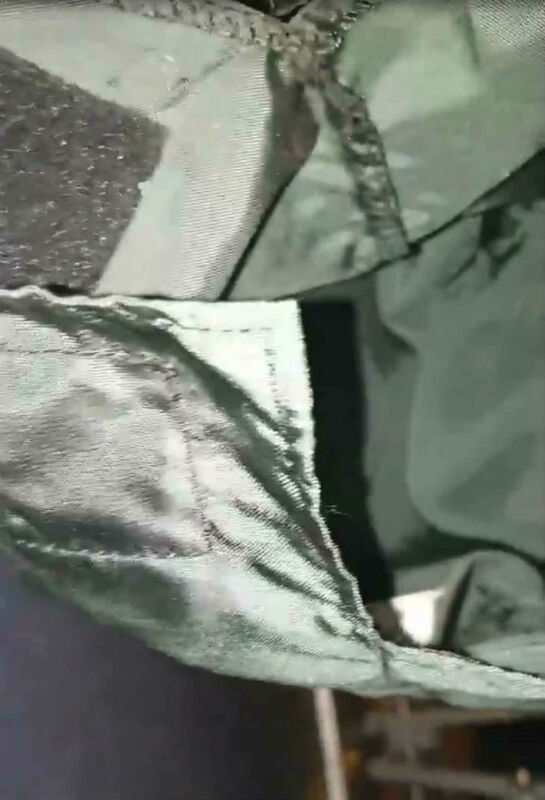 Ellie Evans, was travelling on a Ryanair flight from Prague to London Stansted last month, says she was in tears after discovering on landing the life jacket was missing. The flight is thought to have involved crossing around 100 miles of the North Sea and the 18-year-old says the discovery had made her fear of flying even worse. Ireland’s aviation authority confirmed that every passenger on an aircraft should be provided with a life jacket or flotation device under EU rules. Ellie, from Telford, Shropshire, took video after the flight showing an empty pouch beneath her seat. She posted the footage to social media and tagged Ryanair in the process. Her post was captioned: “When I flew from Prague to London on the 16th March, my seat didn’t have a life-jacket. The clip initially shows the overhead cabinet and quicky pans down to underneath the seat. Software Tester Ellie works her way through the seats in the row, checking what’s underneath them. The seats further away from the window show a black bag with something clearer inside them. Ellie then gets to the window seat she sat in, which shows a black bag being opened, but nothing inside of it. She then stands up again and a shot of the safety card can be seen before the clip ends. Ryanair did respond to her tweet, asking her to send them details. There were also more comments from Twitter users who agreed with Ellie. 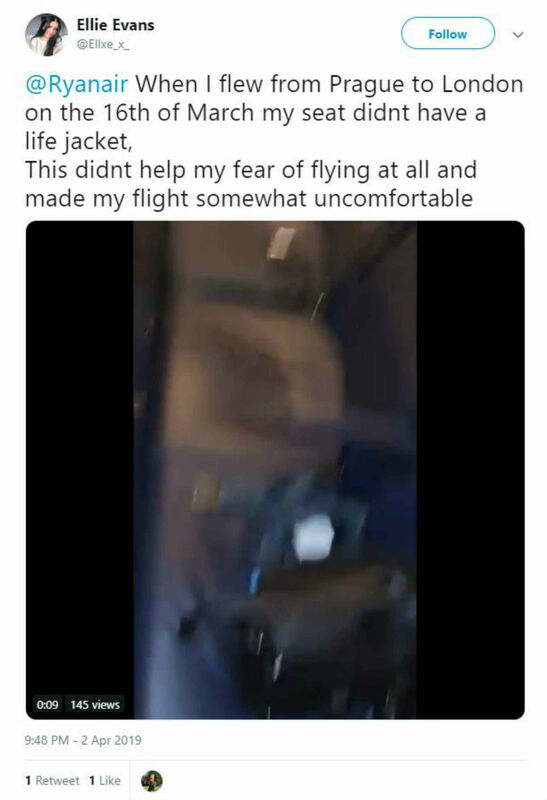 @ispyaera_ said: Surely they should not be allowed to use an airplane that doesn’t have one life jacket per human body? EU regulations clearly state that planes must be “equipped with a life-jacket”. The UK’s Civil Aviation Authority declined to comment because Ryanair is an Irish company. The Irish Aviation Authority provided EU regulations which state that life jackets should be available for passengers on landplanes operated over water at a distance of more than 50 nautical miles. Speaking today, Teenager Ellie who was travelling with her partner at the time, said she was not happy with the response she had from the airline’s staff. She said: “I alerted the staff when leaving the plane and they didn’t seem particularly bothered and just said they’d make sure it got replaced. “I was reduced to tears, knowing my primary safety device was missing set off an anxiety attack. “Luckily my partner was there to try and calm me down.